Olio Verde al Limone was introduced to the U.S. with the 2008 harvest, and it has returned with a bang. (What’s Italian for bang?) This flavorful gem has recently been named a Silver Finalist in the SOFI Awards. The top awards, the Gold Awards, will be named at the Fancy Food Show in NYC in June. 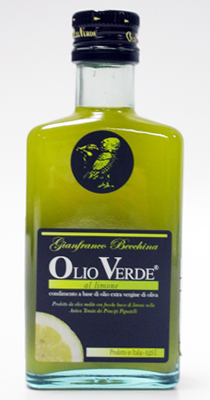 UPDATE: Olio Verde al Limone won a GOLD AWARD on 28 July 2010 at the Fancy Food Show!